This is one of the most beautiful bowls of porridge I've ever eaten. Partly because of the colour but also because it is delicious. 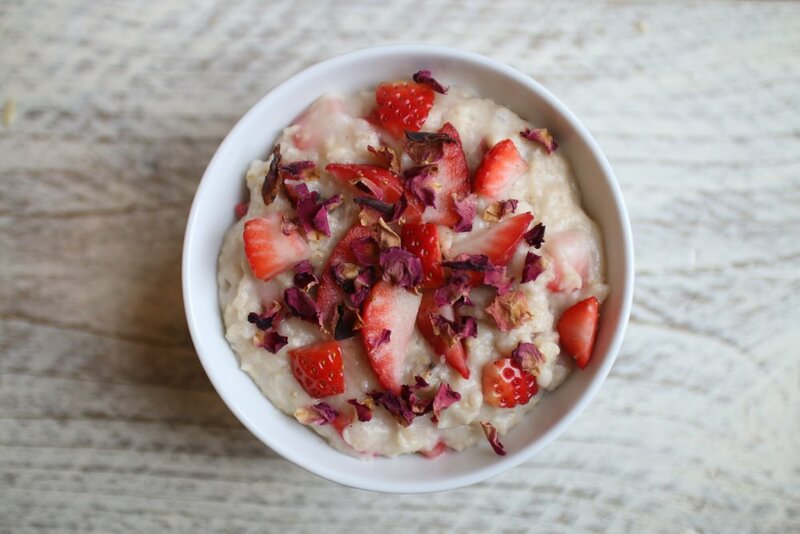 I've also been a little nervous of cardamom being overpowering in its aromatic flavour, but it actually seems subtle in this porridge, with the strawberries adding a delightful sweetness. I added the rose petals for their aesthetic but they actually taste lovely with the other flavours too. As ever, I used jumbo oats and soaked them first (as per the method below) as I love the creamy consistency it makes, but you can make it to your own taste of course! Boil a kettle and place the oats in a pan, adding the cardamom pods after crushing them with the back of a knife. Cover the oats with boiling water and leave to soak for about 5-10 minutes. Chop the strawberries into small pieces while you wait. Once the water has dissolved, add the brown rice milk and 3/4 of the strawberries and turn on a low heat, stirring regularly. 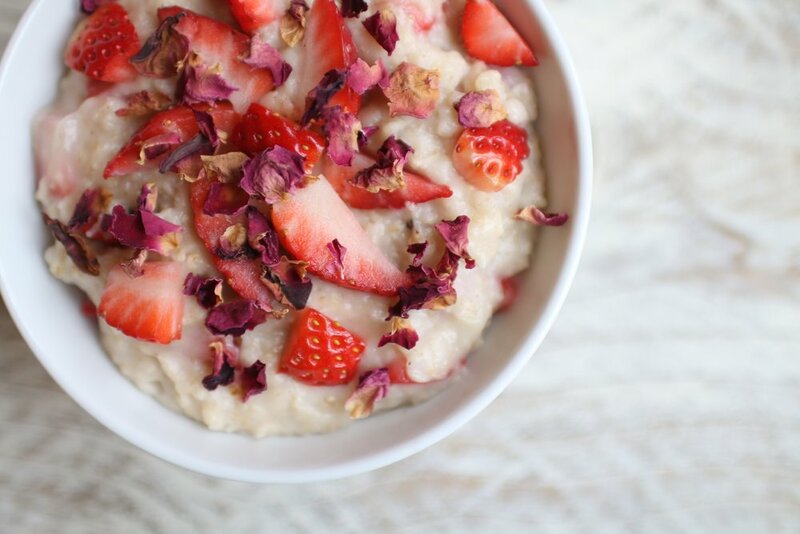 Once the milk has dissolved and the porridge is fluffy, remove from the heat and pour into a bowl, topping with the remaining strawberries and rose petals.